Tired of using those cheap island coutouts? Or cheesey home-made styrofoam islands? 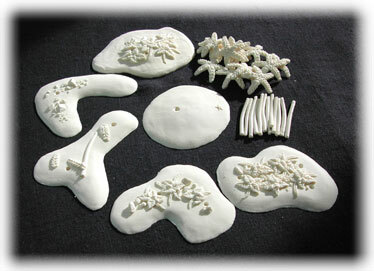 Soon to be released finely sculpted detailed islands, meant to be played with Pirates of the Spanish Main, Davey Jones Curse and other expansions. Created in mind for more accurate and realistic proportions to the ships. 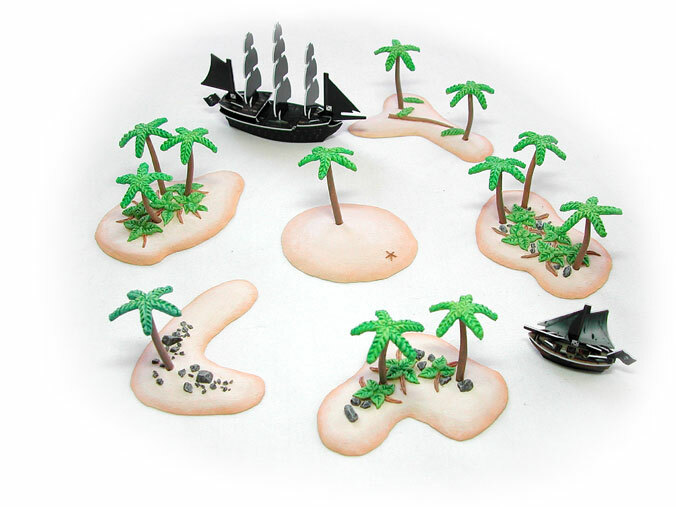 The set consists of six unique unpainted terrain islands cast from hard resin. Each piece is proportioned in area to the original paper islands released with POTSM, though this does not mean the shapes are the same. If you wish to receive an email alert when the set is released, send email to . In the subject line, type "Pirates Terrain Release". Initial production castings will be very limited, don't be surprised if they go quick.